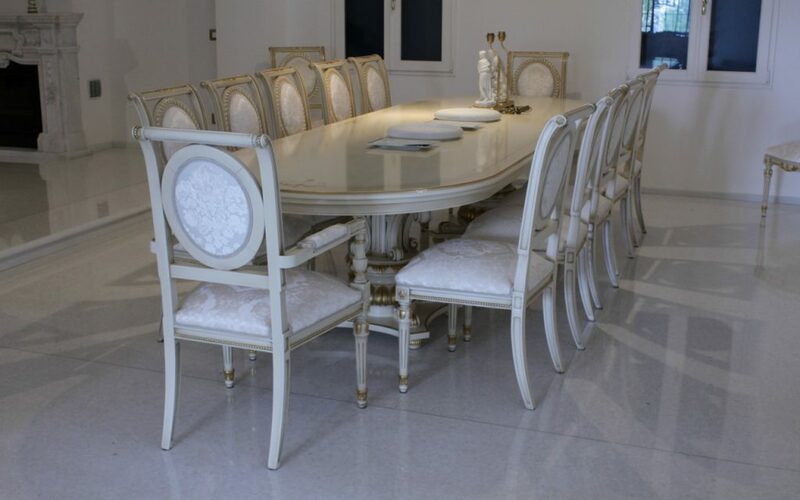 EOLO big classic wooden dining table hand-made 100% in Italy, in Brianza Area, by skillfull Italian carvers fo Orsitalia. 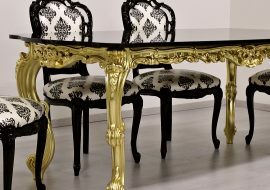 This wooden big baroque table,from Orsiitalia’s classic collection, manages to combine the beauty of its legs in Liberty style with the convenience of modern style. 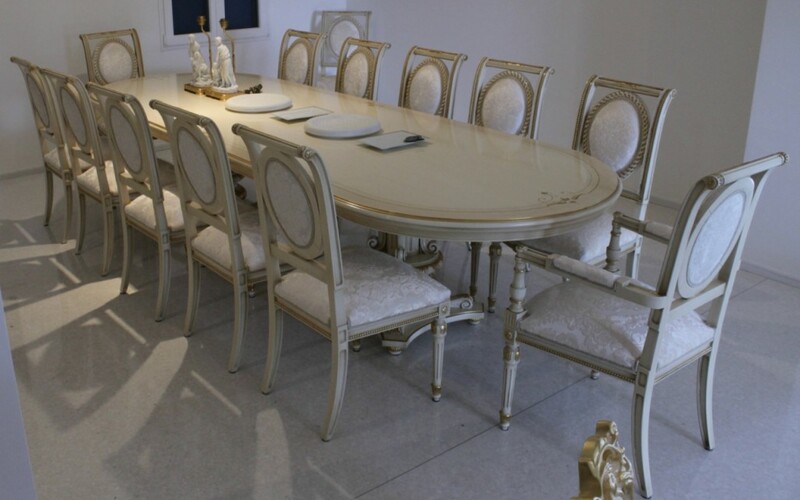 All Orsi Italia’s wooden dinner tables can be manufactured in custom sizes, even modular and with different shape of tops: oval, rectangular, horseshoe, U-shaped or special custom-made. 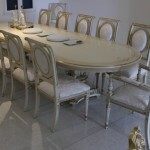 The wooden table tops can be decorated or inlaid. 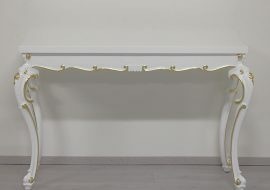 Orsitalia presents also chairs and chair with arms into collection Eolo, even these in strong real wood. 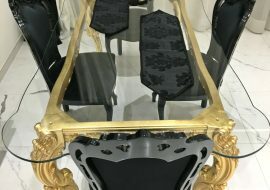 All pieces of furniture marked ORSITALIA are entirely handmade in Italy by master craftsmen and are characterized by the use of the best raw materials and the meticulous care of all the slightest details. 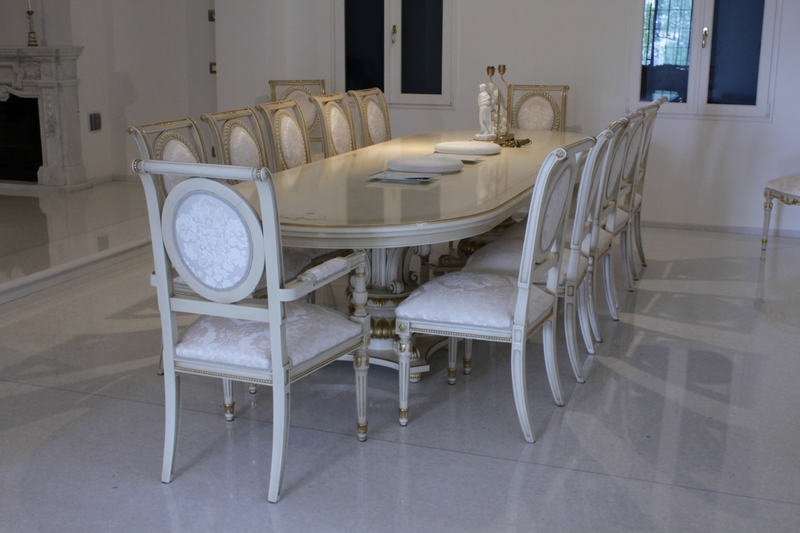 Orsitalia offers endless customization possibilities thanks to a wide range of fabrics or leathers and wood polishing. You just have to choose your favorite combination. 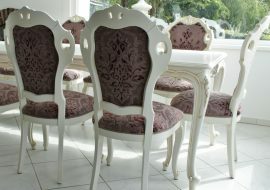 Especially suitable for Hotel, Executive Office, Conference room or big dining room of a villa.